Hello all! Today I thought I would share something kind of different. I don't think I have ever talked about it here, but when I was younger, I had pretty bad acne. I know that there are people that were worse off than me in that department, but I do know how it feels to be insecure with how your face looks. I lacked confidence in my appearance and never felt like I could go without makeup. 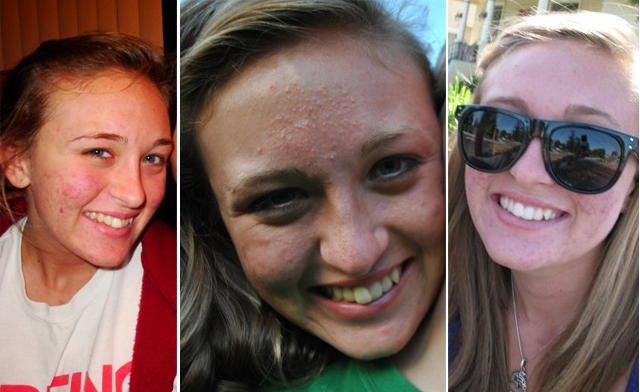 Luckily, I don't struggle with acne anymore, but it is something that has affected me since I was only 9-years-old. I developed early, and this was one of the unfortunate side affects. It was awful to be in fifth grade and already be on Proactiv (which doesn't work, by the way)! I tried so many things: creams, washes, toners, pills, you name it... Things would work for periods of time, but then my skin would adapt to it and it wouldn't be effective anymore. I was finally able to kick the acne during my senior year of high school, when I decided to go on a medication called Acutane. It is a very involved and complicated medication, and it was not an easy road, but I am so glad that I did it. I still have my insecurities with my body, but it is nice to know that my face is no longer one of them. Through my journey with acne, I have definitely learned some things that might help you out if you struggle with acne as well. I know how good it feels to have a clear face, and hopefully these tips will help make things a bit better! Always, ALWAYS wash your hands with soap before touching your face. Guys, I don't know if you knew this, but our hands are dirty. And you don't want all that dirt and those germs on your face right?! This one I cannot emphasize enough. I even keep a bottle of hand soap in my shower so that I can wash my hands right before I wash my face. So important! Use only oil-free products on your face. This is a biggie. 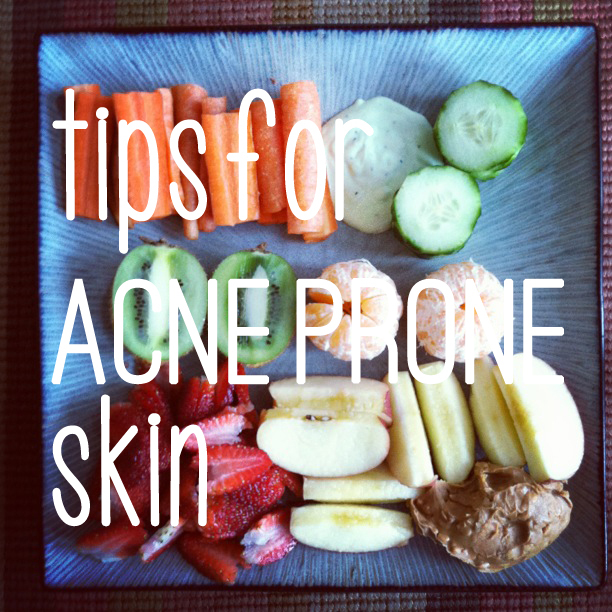 If your skin tends to be acne prone, chances are it is also more on the oily side. Your skin already produces enough oil, so there is no need to add to it, making your face look more shiny and exacerbating the acne. There are so many oil-free options out there, so this shouldn't be a problem! Try to go at least one day per week without makeup. This may be difficult for some people, but it is good to let your skin breathe! You could even just go all day without makeup, and then just put some on if you are going out in the evening and want to look polished. I also hear that tinted moisturizers (like this one) are a great alternative, but just be sure it is oil free! Do your best to not needlessly touch your face throughout the day. I will never forget someone once telling me this. It stuck with me, and you know what? It makes a HUGE difference. You don't realize how many times you unconsciously touch your face throughout the day! And chances are that you don't wash your hands every five minutes, so you are just adding to the dirt and gunk your face already accumulates! This is important for everyone, but especially for people who have acne. Your skin needs a break, and it heals itself while you are sleeping. Even if you are so tired, just push yourself to take it off! Whenever I dismiss my own advice, I always regret it in the morning because my skin looks worse. So just trust me! Always wash your face before bed, even if you didn't wear makeup. Noticing a common theme here? Gotta keep that face clean! Washing your face before bed is a calming thing anyway, plus getting all the dirt from the day off feels good and leaves your skin feeling fresh. Even if you didn't wear makeup that day, still wash your face because built up dirt and sweat only make acne worse. Consider using a light mineral based powder foundation. This has been important to me. I used to wear liquid foundation, but it just made my face look and feel cakey, and my skin could not breathe! This is an important element for acne prone skin, so using a mineral based powder foundation has been great. It is light, so I don't feel like I am wearing a ton of makeup, and I can still achieve the coverage I want. I swear by Bare Minerals if you are looking for a place to start! Germs, germs, GERMS! Those guys are evil for skin. Always designate a specific towel to be your 'face towel,' and NEVER dry your face with the hand towel next to the sink. Chances are, multiple people use it and those dirty hands have touched it. If you share a bathroom with others, put it out of reach of the sink so that they aren't tempted by it. Also, if I am staying at someone's house and I forget to ask for a face towel, I would definitely rather use toilet paper or a paper towel before I use the community hand towel on my face! So obviously I'm pretty serious about this one haha. Be sure to change your face towel every few days to keep things fresh. Do you or did you struggle with acne? What things have or haven't helped you? Interesting that you say that about Bare Minerals, because I switched in the last year from that to an organic liquid foundation from Whole Foods called Zuzu or Zulu and immediately my face cleared up. I don't have nearly the problems I did before. I thought it was because the powder clogged my pores? Anyway, it may have more to do with my age and not having as many acne causing hormones as when I was younger?